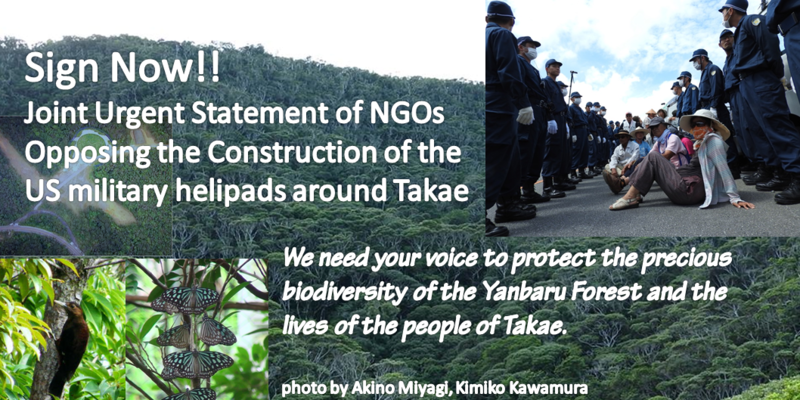 We are going to release an urgent statement to oppose the construction of the US military helipads being built in Okinawa’s most pristine forested region around Takae. Please sign the following statement to protect the most precious biodiversity. The first release of the joint statement will be on August 3rd 2016.